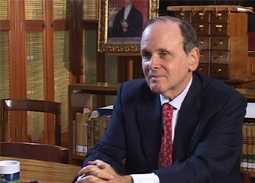 Daniel Yergin is cofounder and chairman of Cambridge Energy Research Associates. He is author of Commanding Heights: The Battle for the World Economy and The Prize: The Epic Quest for Oil, Money and Power, for which he won the Pulitzer Prize for General Non-Fiction in 1992. He received his BA from Yale University and earned his PhD in International Relations from Cambridge University.